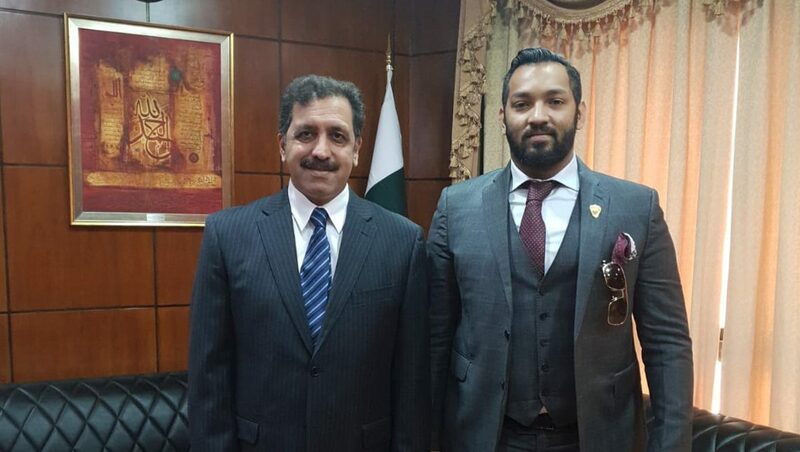 Mohammed Shahid, President of Brave Combat Federation had an official meeting with H.E. Afzaal Mahmood, Ambassador of Pakistan to Bahrain ahead of Brave 17. Brave 17 is the first international mixed martial arts event to be hosted in Pakistan. The initiative will be held under the patronage of His Highness Sheikh Khalid bin Hamad Al Khalifa. The event hosted in Pakistan will feature multiple Pakistani athletes competing Internationally for the first time. The event is the largest broadcasted combat sports event held in Pakistan and marks the entry of Brave Combat Federation and subsequent ventures to Pakistan. “Brave Combat Federation is proud to host the first International Mixed Martial Arts event in Pakistan under the patronage of His Highness Sheikh Khalid bin Hamad Al Khalifa. The initiative will provide an International platform for the athletes in Pakistan to compete globally. We aim to create an ecosystem for the sport to develop and flourish in the nation. Brave 17 will create opportunities in business and cultural exchange between the two nations using the platform of sports”, said Mohammed Shahid, President of Brave Combat Federation.